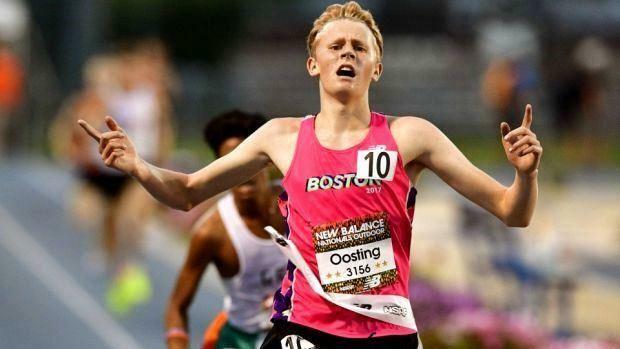 Arlington's Ryan Oosting won the 5,000-meter run at the 2017 New Balance Nationals. The final meet of the outdoor track & field season will be held this weekend with the granddaddy of them all, the New Balance Nationals Outdoor Track & Field Championships. From Friday to Sunday at the University of North Carolina A&T's Irwin Belk Track, some of the best athletes from throughout the country will be competing, including some of our own. More than 40 athletes and relays teams are entered in the Championship events and a multitude more in the Emerging Elite and Freshmen events. Click on the link below for a complete list of entries. We also compiled a list of all those athletes that will be competing in the Championship events. We have several that could make it to the podium, including gold-medal prospects such as defending 5K champion Ryan Oosting of Arlington and Concord Academy's Sam Welsh, who currently ranks No. 1 in the nation in the discus.